With the cold weather upon us, moisturizing your skin is going to be a challenge as you struggle to find that perfect balance between perfectly hydrated skin with a non-greasy complexion. Unfortunately, as the artificial heaters come on and the stale air nips away at what little moisture we do have in our skin, regular old moisturizers are just not going to cut it. Why? Regular moisturizers work on the surface level of your skin by locking in the natural moisture that is found within the natural oils of your skin. This isn’t enough to lock in enough water content to ensure that your skin doesn’t get flaky during the winter time. Instead, one should be using serums with hyaluronic acid, as these hydrate your skin by penetrating down into the deep layers of the skin. 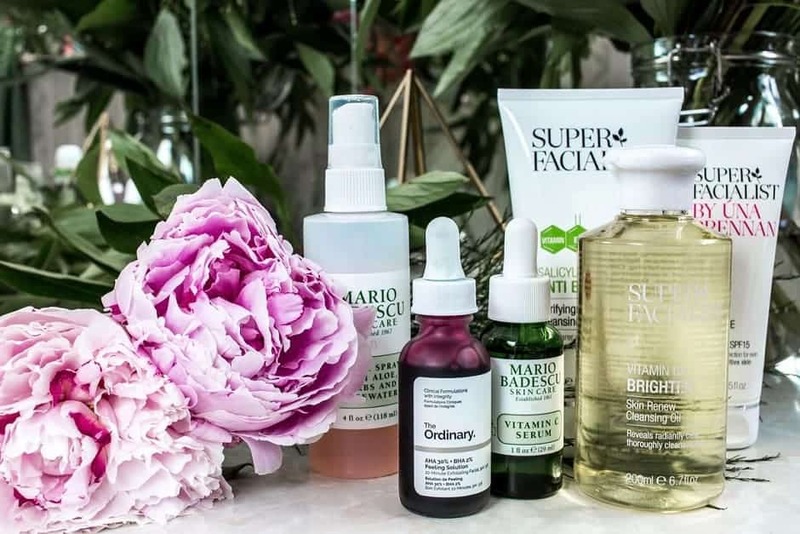 In this article, we are going to explore 17 of the best serums with hyaluronic acid, which will not only blast away the dryness but also brighten up, soften up, and restore your skin’s volume all while helping it function at its best despite the angry cold of winter. ⦁ Dr. Barbara Sturm – Hyaluronic Serum. This serum is made in Germany and comes with both long and short-chain hyaluronic molecules. These work to intensely hydrate the skin and smooth out any fine lines that you may have. Due to the hyaluronic acid being in molecule form, they can penetrate deeper into your skin than other forms of hyaluronic acid. Dr. Barbara Sturm – Hyaluronic Serum is one of the most expensive brands on the market, coming in at $300-400 US dollars. ⦁ Niod Multi-Molecular Hyaluronic Complex. This is considered the “older sister” to the Ordinary Hyaluronic Acid as it was also created by Deciem. While the Ordinary is a budget skincare friendly option, Niod combines cutting edge ingredients that increase the price range. 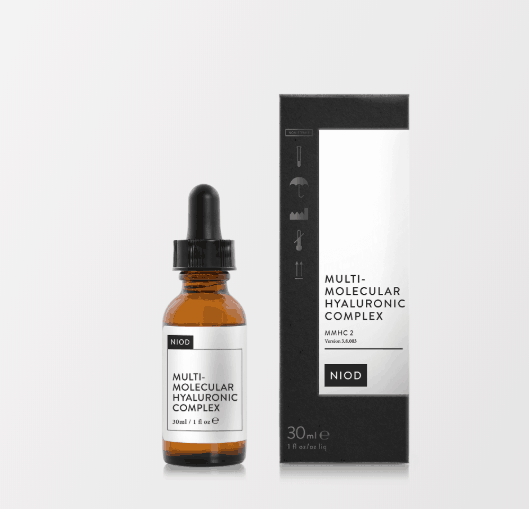 Niod has fifteen forms of hyaluronic acid in it, making it a serious choice for people who want to get nothing but the best results. Price range is $32-50 US dollars. ⦁ The Ordinary Hyaluronic Acid at 2% + B5. The only issue with the Ordinary is that reading through their product bottles requires an understanding that you would only get from a PhD in skincare, however, this is specifically the reason why it’s such a good product. It is one of the best hyaluronic acids on the market, with nothing but ingredients that work. It’s so good that it is often sold out, so if you see it, snap it up real quick. Its price range is $8 in US dollars. ⦁ SkinCeuticals Hyaluronic Acid Intensifier. This serum comes with a high concentration of pure hyaluronic acid, botanical extracts of purple rice and licorice root, and even has 10% Proxylane which supports the skin’s natural hyaluronic acid levels. It gets instantly absorb into the skin and it plumps it up. It amplifies the skin’s hyaluronic acid levels by a minimum of 30 percent, ensuring that you have long-lasting hydration. Price range sits at about $98 US dollars. ⦁ Mad Hippie Vitamin C Serum. This serum is all natural, vegan-friendly, GMO-free, and is cruelty-free. It works extremely well for individuals who have sun-damaged skin as it comes with vitamin C, copper, zinc, phosphorus, magnesium, folic acid, and iron. It also has grapefruit which helps remove dead skin cells, chamomile extract which is naturally soothing, and sage which helps eliminate oily skin. Price range is $27 US dollars. ⦁ Water Drench Hyaluronic Cloud Serum. Peter Thomas Roth’s Water Drench Hyaluronic Cloud Serum comes packed with the ability to plump up your skin, re-hydrate it, and reduce your fine lines. With a 75% hyaluronic acid complex that includes silk protections, iron, copper, and zinc, it will do more than just hydrate you. It will soften you up and repair your skin cells. Price range sits at $68 US dollars. 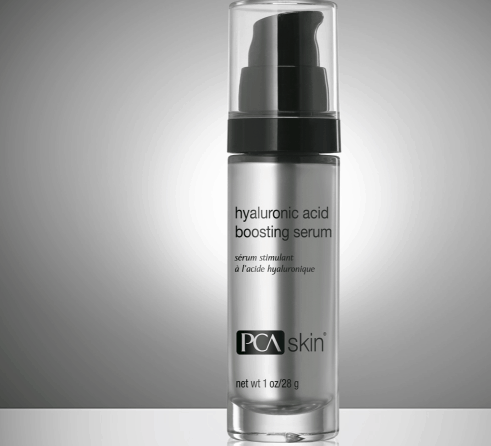 ⦁ PCA Skin Hyaluronic Acid Boosting Serum. This serum does not come with a concentrated blend of hyaluronic acid and instead uses a proprietary blend called HA-Pro Complex. According to some shopper reviews, this product is perfect for those who have oily skin as it battles away, the flakiness and reduces the fine lines. Price range is $115 US dollars. ⦁ Paula’s Choice Hyaluronic Acid Booster. This comes in the fluid gel form, designed to be worn with or without your regular moisturizer. Not only will this give you a serious hydration boost, but it comes packed with skin-replenishing ceramides which are used to restore any lipids that are lost due to harsh environmental factors. After about a month worth of use, you should see your hydration levels skyrocket and your skin’s texture become much smoother. Price range sits at $58 US dollars. This is one of the original hyaluronic acid serums that hit the market and kicked off the internet frenzy that ensued after its discovery. It comes as a clear gel and is 100% free of any animal-derived raw materials. 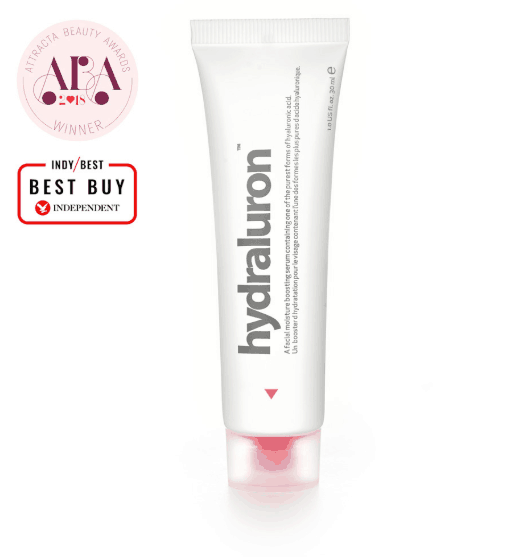 Indeed Labs Hydraluron won several independent awards for it’s effectiveness. The price range for this is $32 US dollars. 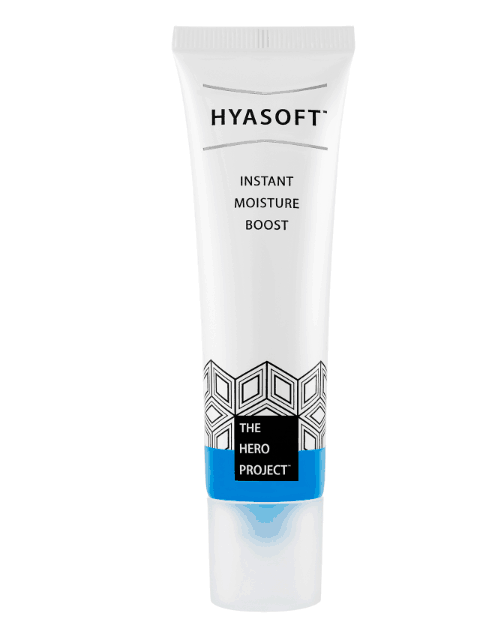 ⦁ The Hero Project Hyasoft. For people who have oily skin and want an instant moisture boost, this is the perfect fit. Although it is technically a moisturizer and not a serum, it is lightweight, oil-free, and packed with hyaluronic acid. It also comes with a lot of vitamin B5. Price range is $25 US dollars. ⦁ Eminence Organic Skin Care. This serum is a bit different than the rest in that it comes from plant-derived forms of hyaluronic acid which aims at plumping up sagging facial contours. It uses Salicylic acid to remove debris from pores and can help those who have regular acne breakouts. It also comes with CoQ10 which stimulates collagen production. This particular one comes in a strawberry rhubarb. Price range is $48 US dollars. ⦁ SkinMedica HA5 Rejuvenating Hydrator. With a proprietary blend of five different forms of hyaluronic acid and a potent antioxidant stem-cell extract from the Vitis flower, this serum is perfect for someone who wants an eight-hour boost in skin hydration levels. It can help the skin naturally replenish it’s own hyaluronic acid levels and promotes long-term skin health. Price range is steep at $178 US dollars. ⦁ Vichy Mineral 89 Daily Skin Booster Serum & Moisturizer. If using serums and creams that are made out of mineral-rich water is more your thing than Vichy Mineral 89 is a perfect buy. It comes with 15 mineral-rich water and hyaluronic acid components and delivers twenty-four hours of hydration. It is fragrant-free, non-shiny, and is not sticky. It also absorbs into the skin very fast. Price range is $29.50 US dollars. ⦁ Dr. Dennis Gross Skincare Hyaluronic Marine Hydration Booster. This is considered a hydration powerhouse product as it comes with collagen and elastin-boosting ingredients as well as hyaluronic acid. You will find copper, watermelon, and Centella Asiatica in it as well as zinc. Dr. Dennis Cross Marine Hydration Booster keeps excess sebum under control and the lactic and glycolic acids in the skin refine the texture up for you. Price range is $68 US dollars. ⦁ Medik8 Hyaluronic Acid Serum. 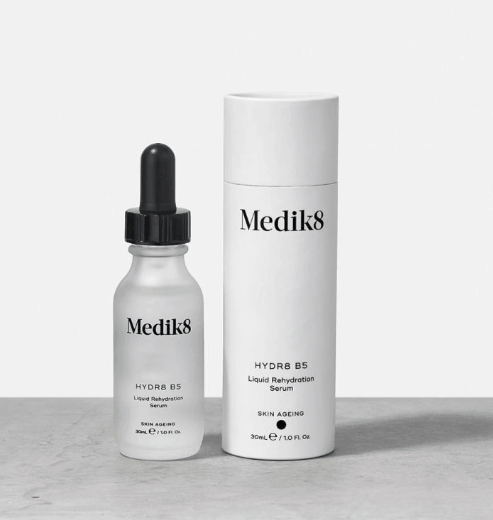 The Medik8 brand was voted best hyaluronic acid serum by Cosmopolitan, with the product being the Medik8 HYDRA8 B5. 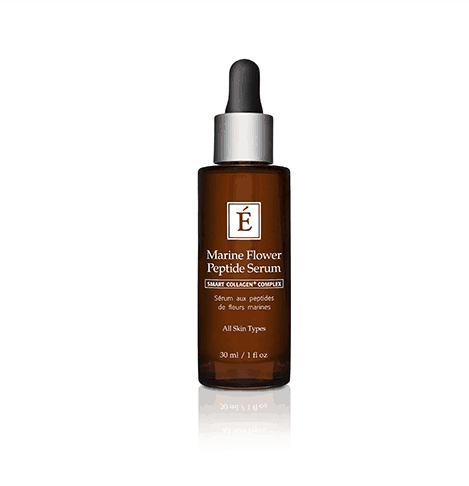 It is a lightweight gel-based serum that comes with hyaluronic acid and a lot of vitamin B5. This serum was made to help improve your moisture-retention levels and provide an instant moisture boost upon application. It comes with a higher price point at $52 US dollars. ⦁ Neutrogena Hydro Boost Hydrating Serum. This serum can be layered with other hydro boost products, comes as oil-free, and is wearable under makeup. It is lightweight in its heaviness, does an excellent job of making your skin smooth, and is affordable. Comes in at a price range of $20 US dollars. With the amount of hyaluronic acid serums on this list, choosing one may prove difficult. However, if you want to choose based on the ingredients within the products, choose one that is paraben-free, is fragrant-free, and is propylene glycol-free as these are going to give you the best hydration with as little synthetic ingredients as possible. 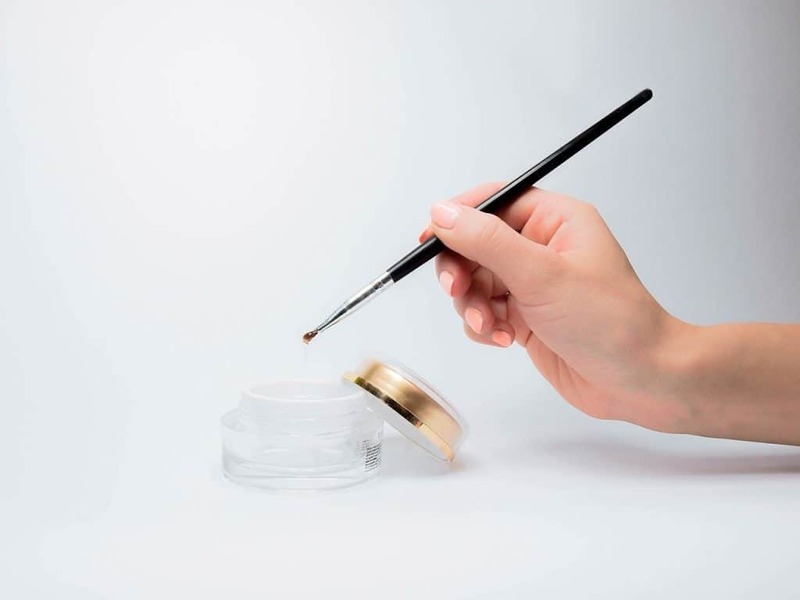 Also keep your eye out for ingredients like peptides, ceramides, and other antioxidants as these are going to protect your skin by limiting the production of free radicals. All in all, you cannot go wrong with any on this list, so pick what is best based on how oily your skin is and what your budget will allow. If you wear a lot of makeup or other products on your face, choose one that is layerable underneath these products.